^ a b c Hassan, Ahmad Y (1996). "Factors Behind the Decline of Islamic Science After the Sixteenth Century". In Sharifah Shifa Al-Attas. Islam and the Challenge of Modernity, Proceedings of the Inaugural Symposium on Islam and the Challenge of Modernity: Historical and Contemporary Contexts, Kuala Lumpur, August 1–5, 1994. International Institute of Islamic Thought and Civilization (ISTAC). pp. 351–99. Archived from the original on 2 April 2015. ^ a b c d e f g h i j k l m n o Jonathan Berkey (2004). "Education". In Richard C. Martin. 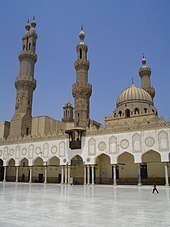 Encyclopedia of Islam and the Muslim World. MacMillan Reference USA. ^ Donald Malcolm Reid (2009). 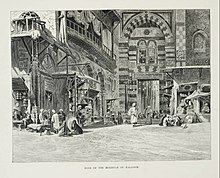 "Al-Azhar". In John L. Esposito. The Oxford Encyclopedia of the Islamic World. Oxford: Oxford University Press. doi:10.1093/acref/9780195305135.001.0001. ISBN 978-0-19-530513-5. ^ a b c d Vikør, Knut S. (2014). "Sharīʿah". In Emad El-Din Shahin. The Oxford Encyclopedia of Islam and Politics. Oxford University Press. Archived from the original on 2017-02-02. Retrieved 2017-07-30. ^ a b c d e Calder, Norman (2009). "Law. Legal Thought and Jurisprudence". In John L. Esposito. The Oxford Encyclopedia of the Islamic World. Oxford: Oxford University Press. Archived from the original on 2017-07-31. Retrieved 2017-07-30. ^ Ziadeh, Farhat J. (2009). "Uṣūl al-fiqh". In John L. Esposito. The Oxford Encyclopedia of the Islamic World. Oxford: Oxford University Press. doi:10.1093/acref/9780195305135.001.0001. ISBN 978-0-19-530513-5. ^ Kamali, Mohammad Hashim (1999). John Esposito, ed. Law and Society. The Oxford History of Islam. Oxford University Press (Kindle edition). pp. 121–22. ^ a b Blankinship, Khalid (2008). Tim Winter, ed. The early creed. The Cambridge Companion to Classical Islamic Theology. Cambridge University Press (Kindle edition). p. 53. ^ Tamara Sonn (2009). "Tawḥīd". In John L. Esposito. The Oxford Encyclopedia of the Islamic World. Oxford: Oxford University Press. doi:10.1093/acref/9780195305135.001.0001. ISBN 978-0-19-530513-5. ^ Ball, Philip (22 February 2007). "Islamic tiles reveal sophisticated maths". News@nature. doi:10.1038/news070219-9. Archived from the original on 2013-08-01. Retrieved July 26, 2013. "Although they were probably unaware of the mathematical properties and consequences of the construction rule they devised, they did end up with something that would lead to what we understand today to be a quasi-crystal." ^ Bedi N. Şehsuvaroǧlu (2012-04-24). 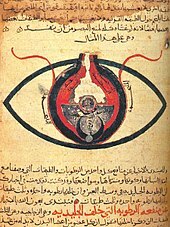 "Bīmāristān". In P. Bearman; Th. Bianquis; C.E. Bosworth; et al. 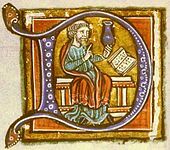 Encyclopaedia of Islam (2nd ed.). Archived from the original on 2016-09-20. Retrieved 5 June 2014.